The best water-cooled induction power cables available anywhere in the world are now also the least expensive. 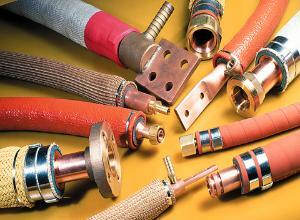 Ajax Tocco offers cables for any induction system brand, type or application, regardless of OEM. We have worked hard to drive cost out of the rebuilding and manufacturing of power cables, so you can expect the lowest-cost cables at the highest possible quality from Ajax Tocco. Ajax Tocco also rebuilds power cables for any induction system OEM.